Home English Pawan Kalyan’s daughter with Che Guevera! Pawan Kalyan’s daughter with Che Guevera! It is well known that Pawan Kalyan is hugely inspired by Che Guevera. Jana Sena chief often quotes Cuban revolutionary leader in his speeches. Pawan also sported Che’s getup in his movies since Tholiprema to Jalsa. Power star is said to have read about Che when he was studying intermediate in Nellore. 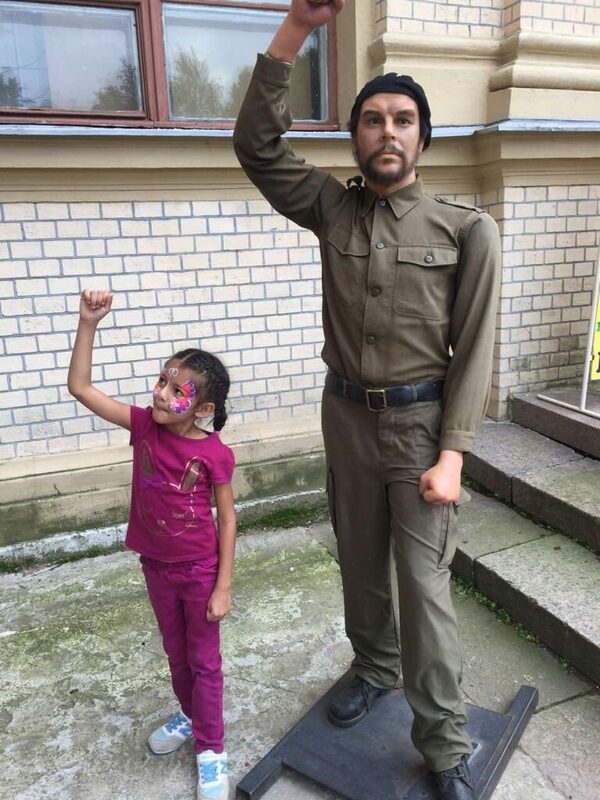 Pawan shares a candid pic of his daughter Polina Anjani with Che Guevera’s was statue at St Petersburg museum in Russia. Next article‘Tej I Love You’ is copy of a Hollywood film!